Wholesale Handbag, Wholesale Custom Handbag, Wholesale Handbag Making Hardware Supplies. 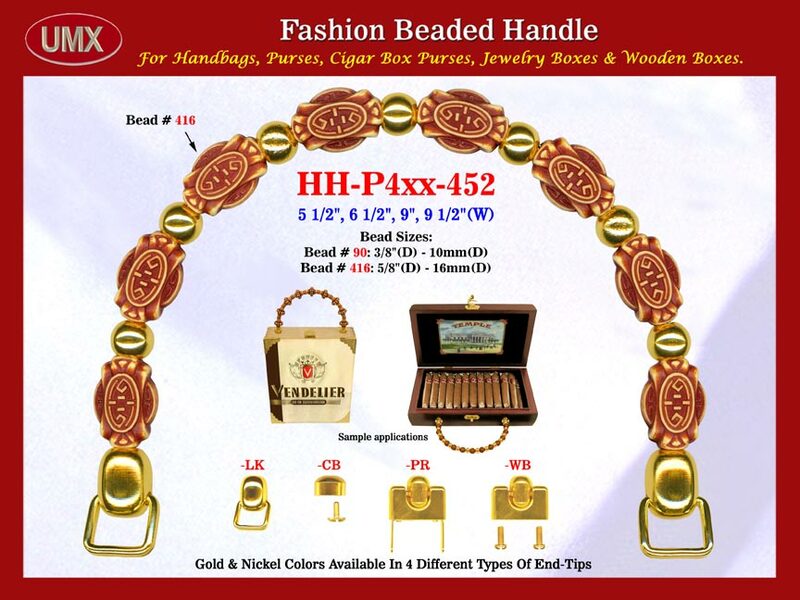 HH-P4xx-452 Beaded Handbag Handle: With Designed Art Bali Beads, Flat Tube Bali Beads. The wholesale handbag handles are fashioned from mixed designed art Bali beads, flat tube Bali beads with round metal beads.